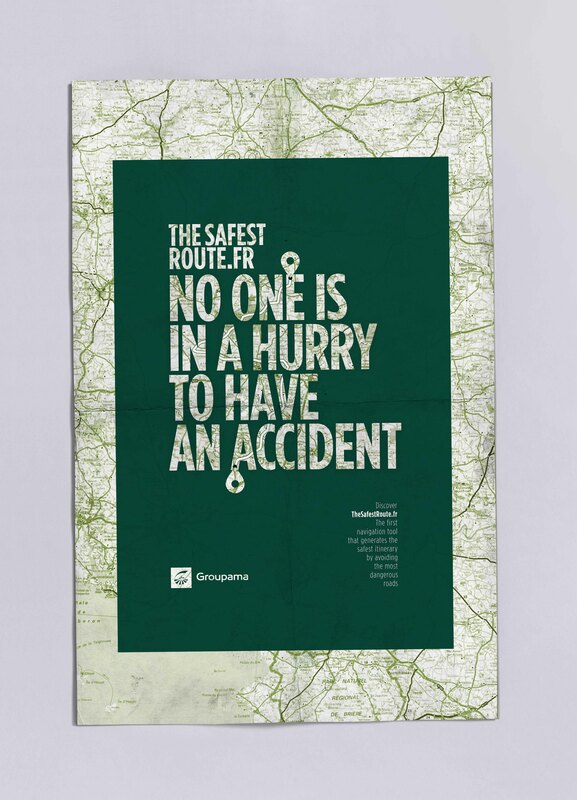 Groupama, an insurance company in France, has launched Le Trajet Le Plus Sur, (The Safest Route), a free road safety platform based on government data relating to road accidents. Online at LeTrajetLePlusSur.fr and a mobile app, the Safest Route platform is able to generate and compare two itineraries in just a few clicks, providing the fastest route, traditionally suggested by GPSs and the safest route, one that is statistically the least dangerous. Drivers can see the difference in travel time between the two routes and choose one with full knowledge. 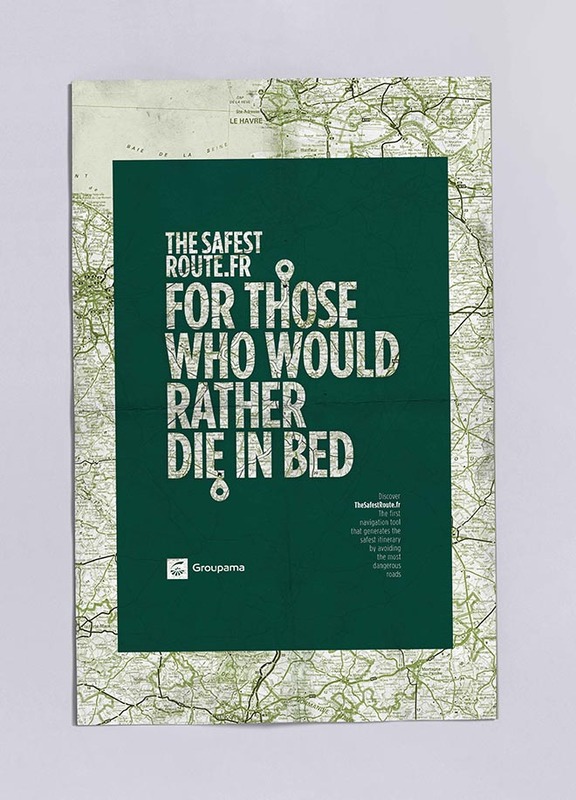 For example, in Paris, to get to Gare de Lyon from the Eiffel Tower, the fastest route would take 19 minutes and accounts for 129 more accidents than the less dangerous route (24 minutes). 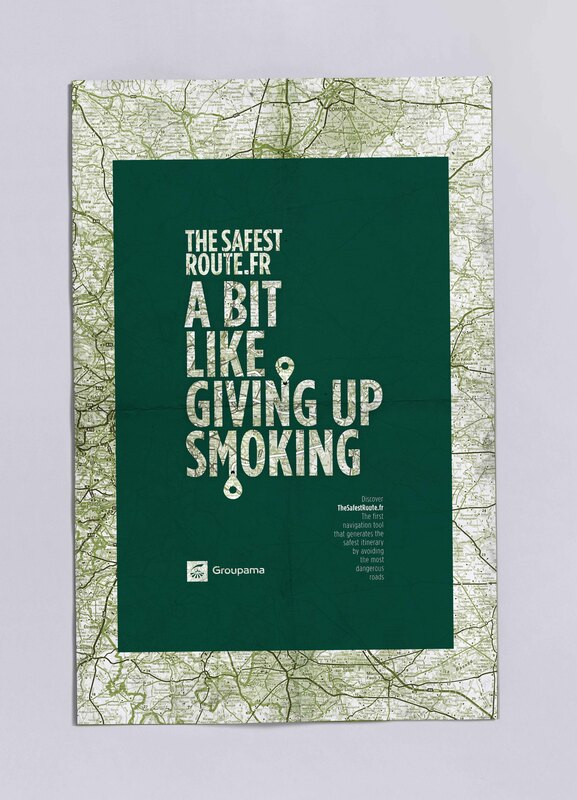 The Safest Route project is being promoted with film, radio and print advertising, and dedicated digital terminals will become available at participating Groupama locations allowing members to test this new service. In order for this service to be reliable and effective, official government data pertaining to traffic accidents for the past seven years have been mapped in with their precise geolocation. All accidents leading to personal injuries requiring both police and firemen intervention were included. Based on statistics, an algorithm was developed from this data, identifying the roads that are less likely to experience accidents as long as they do not add more than 20% additional driving time on average to daily trips. 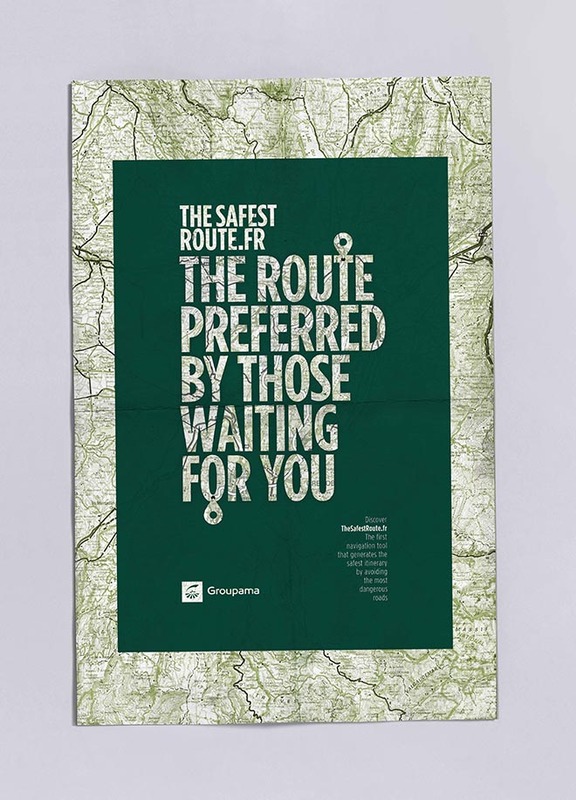 It is a collaborative website; each user is encouraged to save their trip and share it on various social media platforms. More drivers using the safest route will improve everyone’s safety. 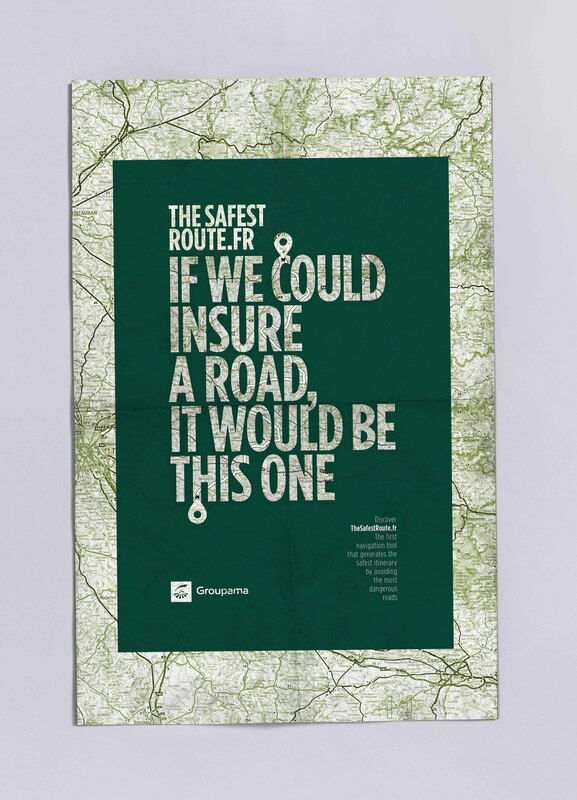 Safest Route technology was developed at Marcel x ETO by CTO Louis Da Silva, UX director Vincent Mayol, front end developers Diono Corbel, Paul Vanlerberghe and Eric Beaufol, back end developers Charles Coulais and Edgar Lacouture, technical manager Maximilien Borne. Filming was produced at Prodigious and Kuest Prod by director Manu G. Cuesta (Kuest Prod), editor Mikael Arslanyan (Prodigious), motion designer Mikael Arslanyan (Prodigious), sound producers Boris Nicou, Boris Jeanne, Thomas Corbel and Elodie Siliart (Prodigious), sound engineer Fabien Cornec (Prodigious). Voiceover on radio was Ombeline de la Teyssonière. Print ads were produced at Prodigious by photographer Alain Cornu, art buyer Flore Silberfeld, producers Constance de Gourlet and Suzanne Pereira Dias, retouching team David Verduci, Quentin Le Roch, Mathieu Andrieu and Karine Villalon.